Today I’m sharing with you the top 10 most popular colors here at FPC. 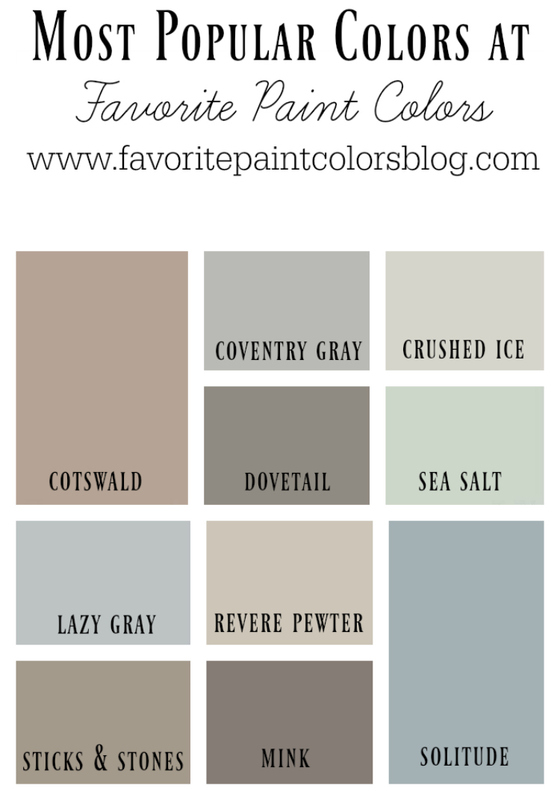 I have been doing this blog for over 6 years now and have compiled hundreds of rooms and paint colors, here are the ones with the most pageviews and pins. All are Benjamin Moore or Sherwin-Williams. I thought you might enjoy seeing what they were. 🙂 Enjoy your day! See other posts on popular paint colors here.